It is with great sadness that we share the unexpected passing of our beloved Comfort Dog, Jackson. While playing and enjoying the warm sunshine with his brother Louie earlier this afternoon, Jackson died very quickly of an apparent heart attack. In the Summer of 2011, Jackson began serving as the official Comfort Dog of Martin Luther School in Joplin. 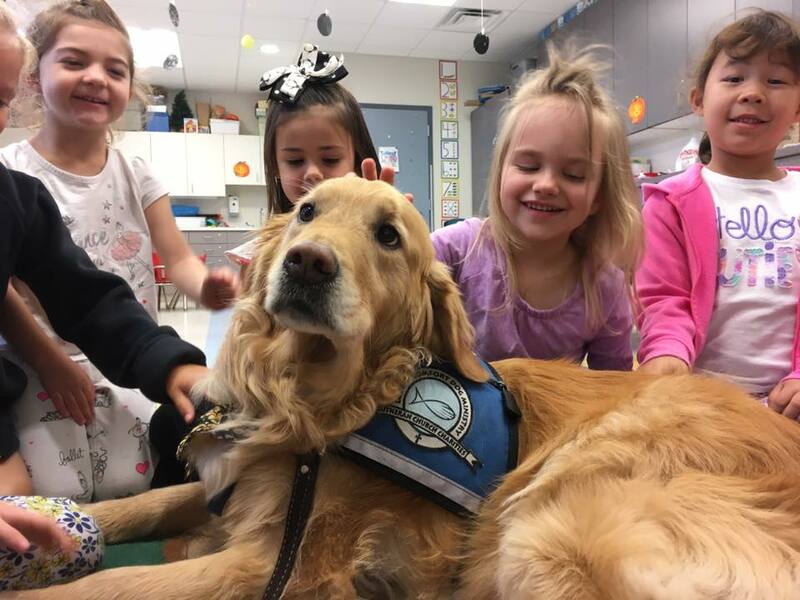 With a joyful, gentle disposition and irresistibly-soft, golden fur, Jackson visited classrooms and greeted children on hundreds of visits at MLS and around the four-state area, bringing mercy and compassion to students, staff, and families, both in times of joy and of sorrow. Jackson visited numerous hospital rooms, cancer treatment centers, nursing care homes, and hospice facilities too. 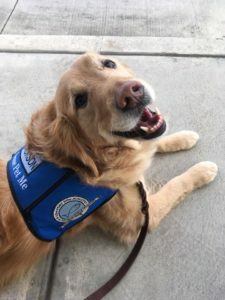 No strangers to sorrow and tragedy, Jackson and his Comfort Dog team have been trusted with the brokenness and grief of those who have suffered great loss in places like Sandy Hook, Connecticut in 2012 and Las Vegas, Nevada in 2017, with dozens of deployments in Missouri and in neighboring states as well. 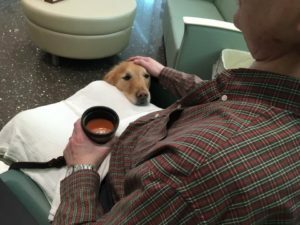 Jackson Comfort Dog heard many sorrows and secret hurts, absorbed many hugs and tears, and was petted through many prayers and words of comfort. Jackson helped his team to bring the Word of God and the hope that comes from Jesus, who is with us to “rejoice with those who rejoice, and weep with those who weep” (Romans 12:15). Touching thousands of lives and beloved by his church, school, community, and more, Jackson Comfort Dog’s passing brings much sorrow. In the midst of our sadness, we continue to thank the Lord for the gifts that He gives. Today, we praise God for the time He gave us with Jackson, but more importantly, we are thankful for the introductions that Jackson made possible—allowing God’s people from Joplin to share compassion, care, mercy, and hope with you and so many others. Well done, Jackson Comfort Dog. You have a special place in our hearts and you will be missed.